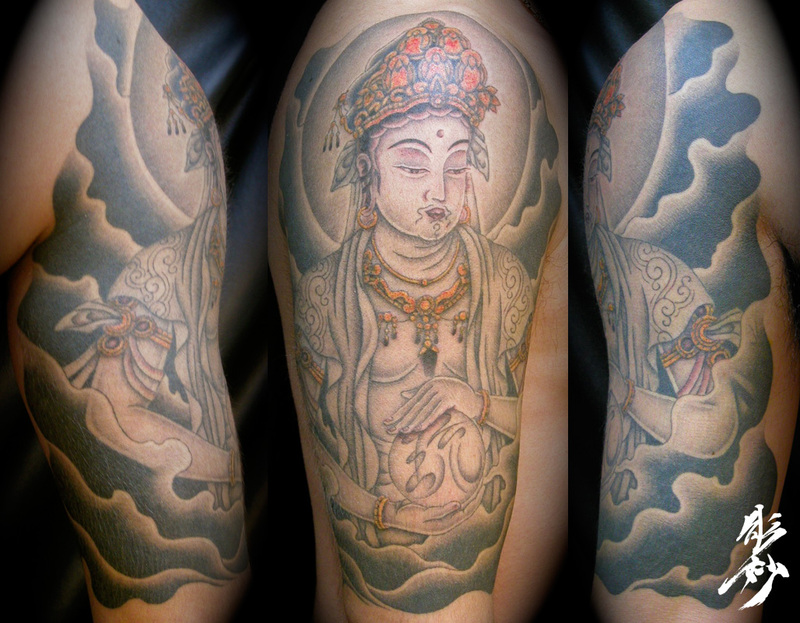 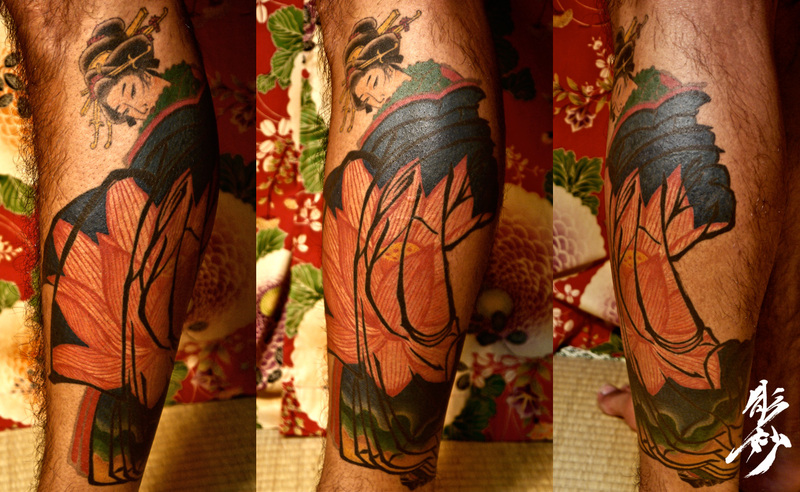 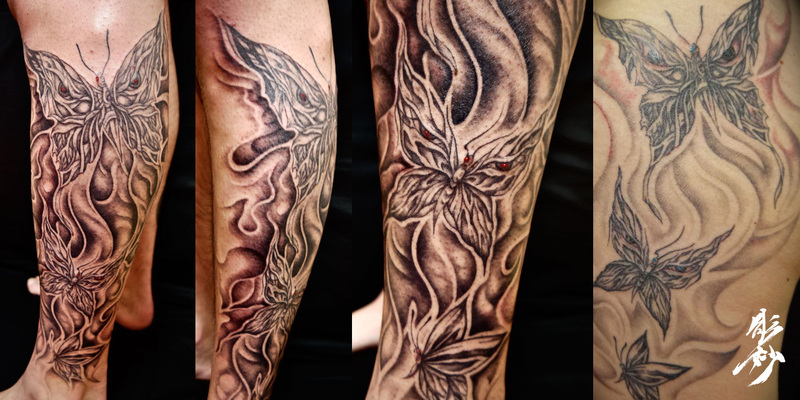 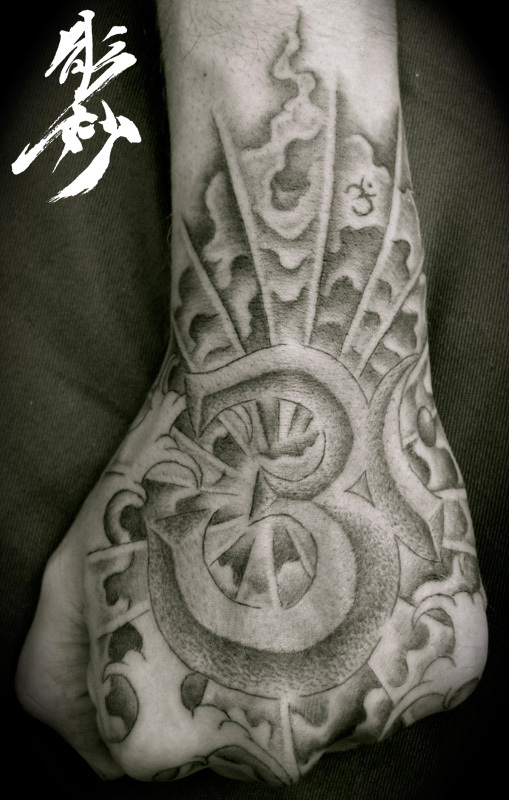 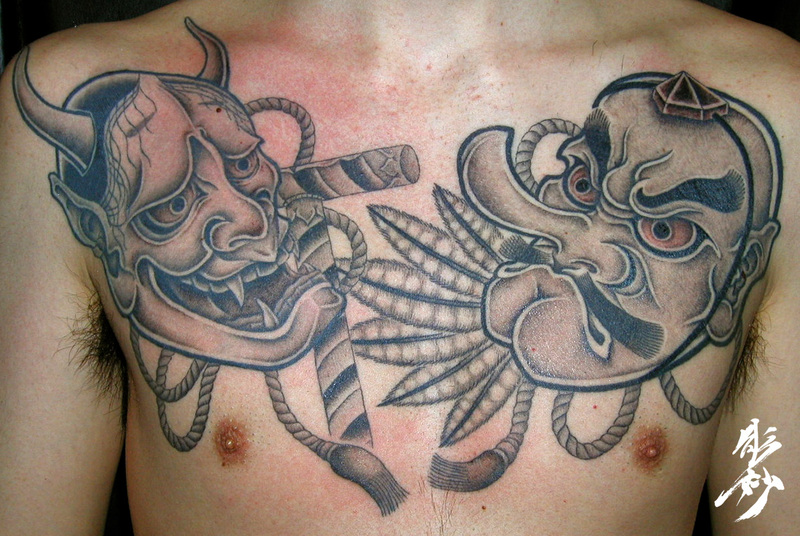 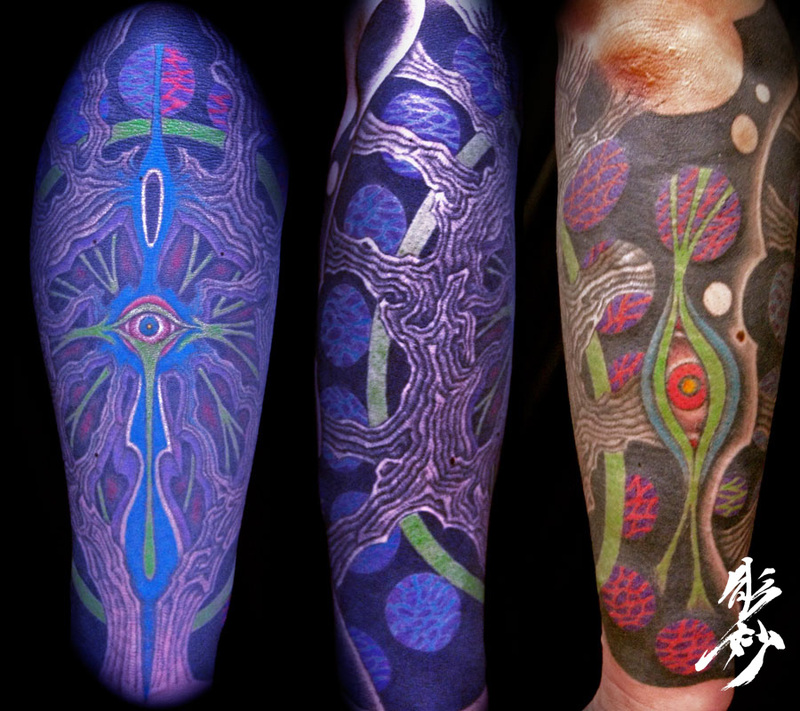 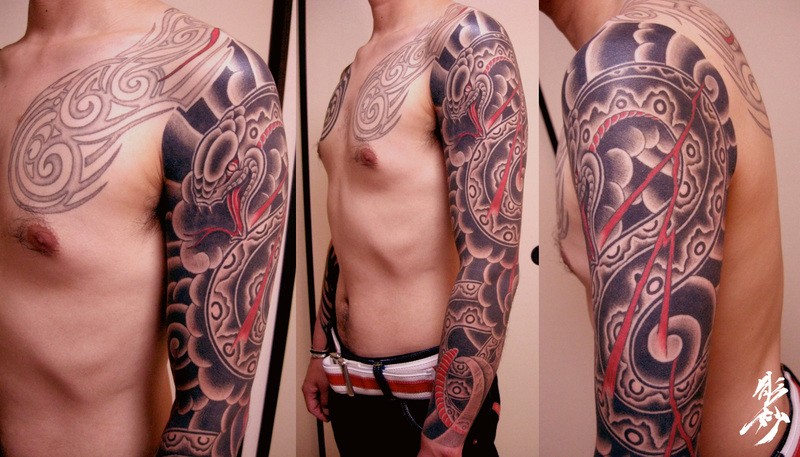 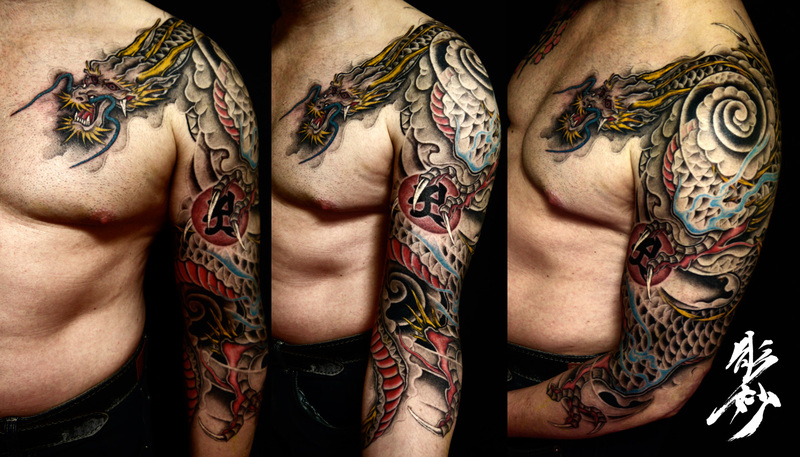 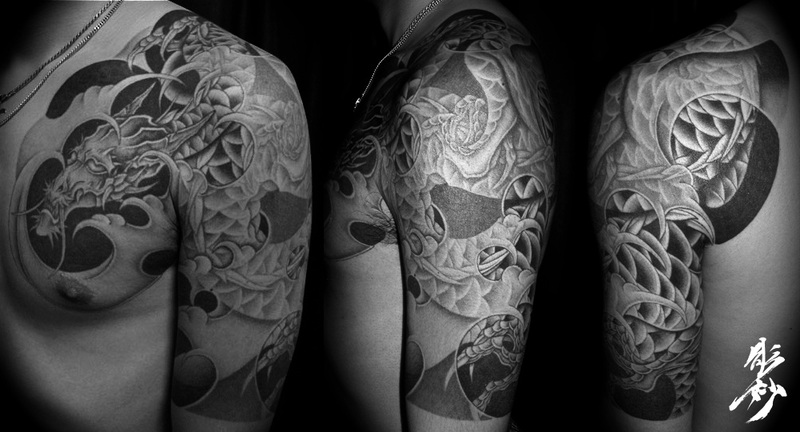 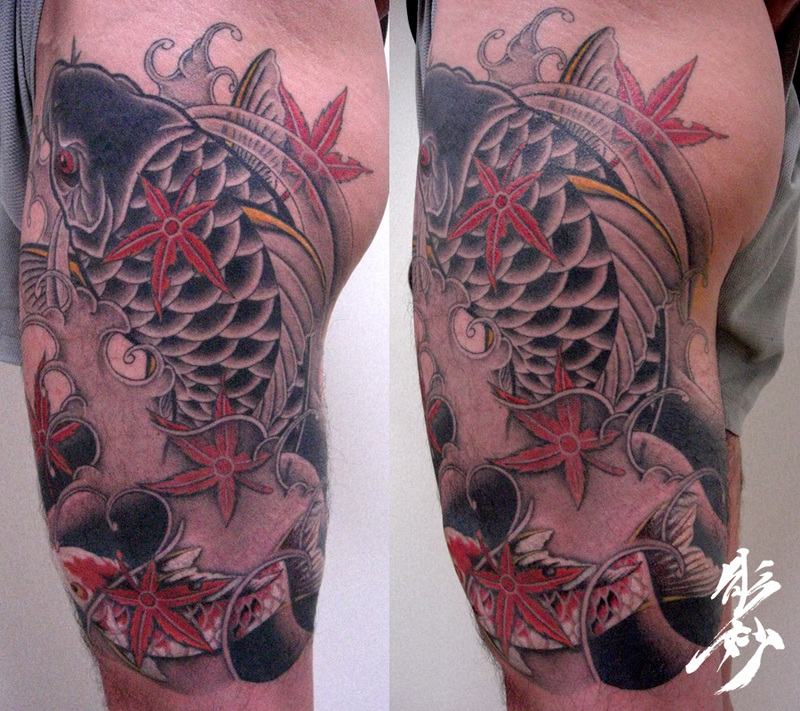 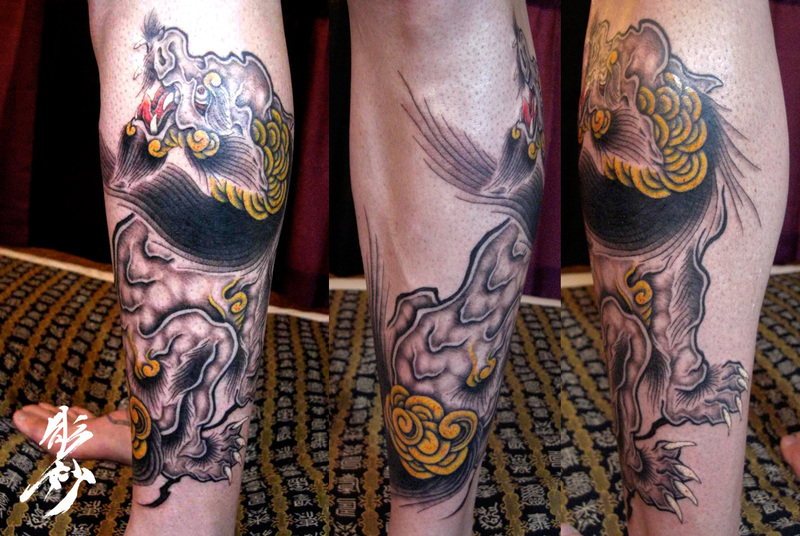 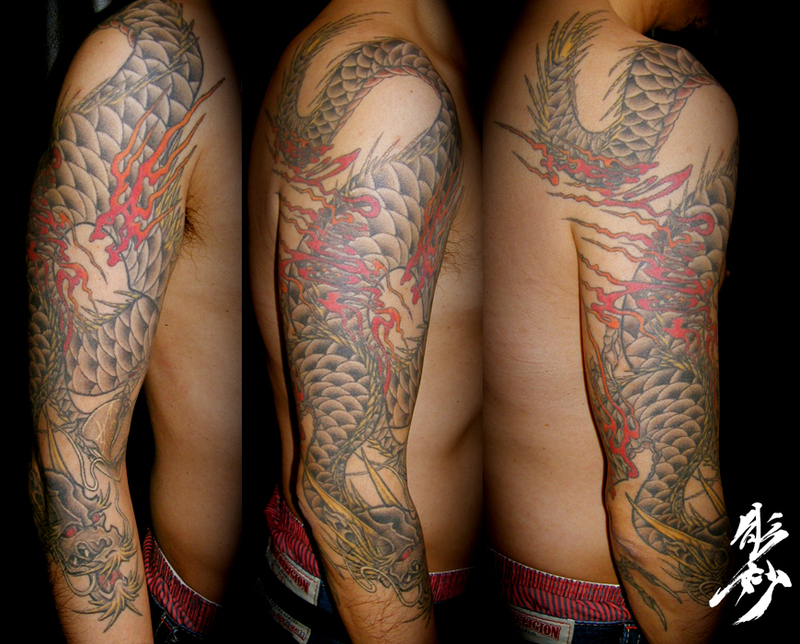 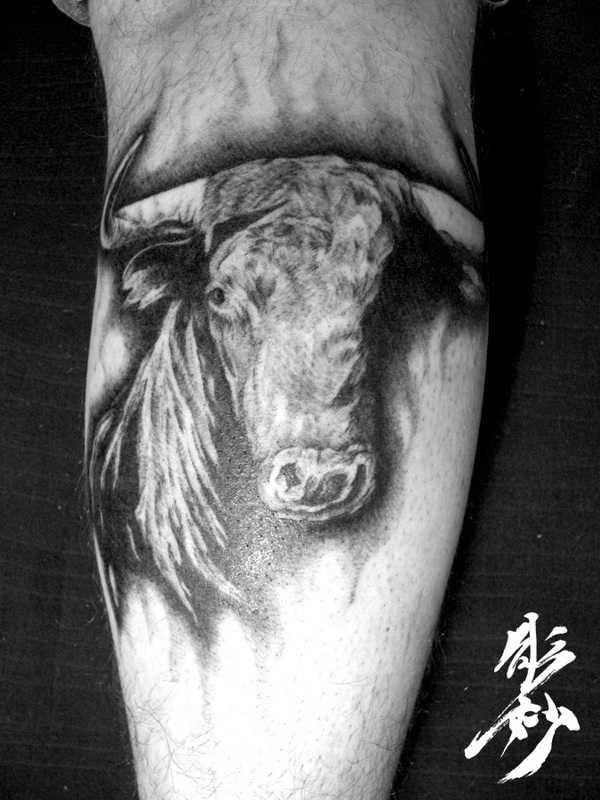 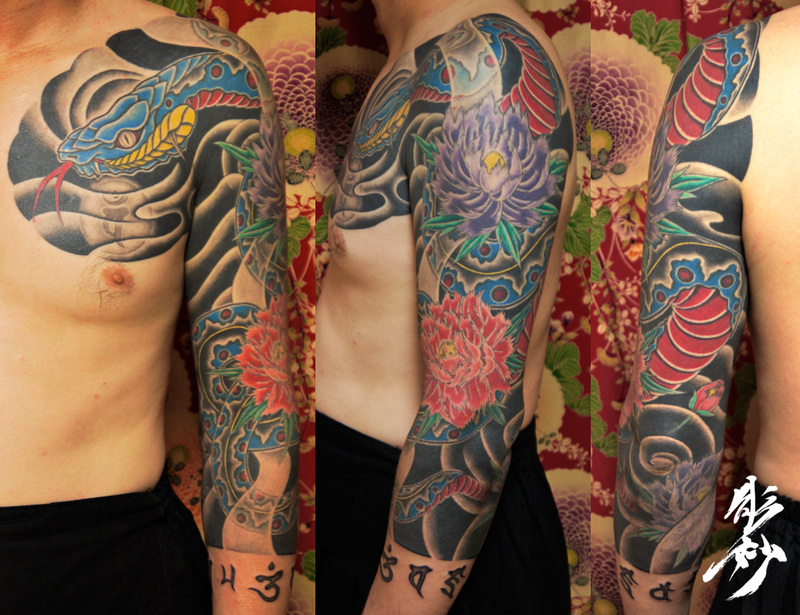 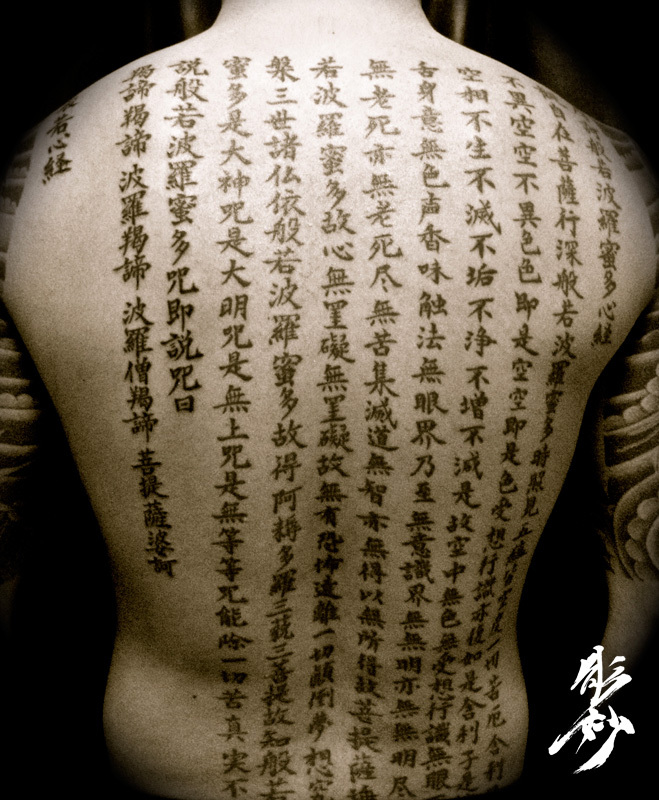 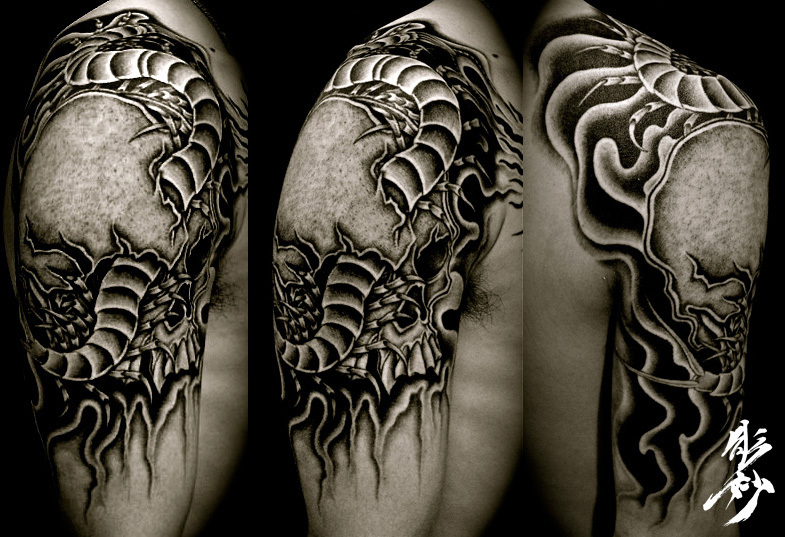 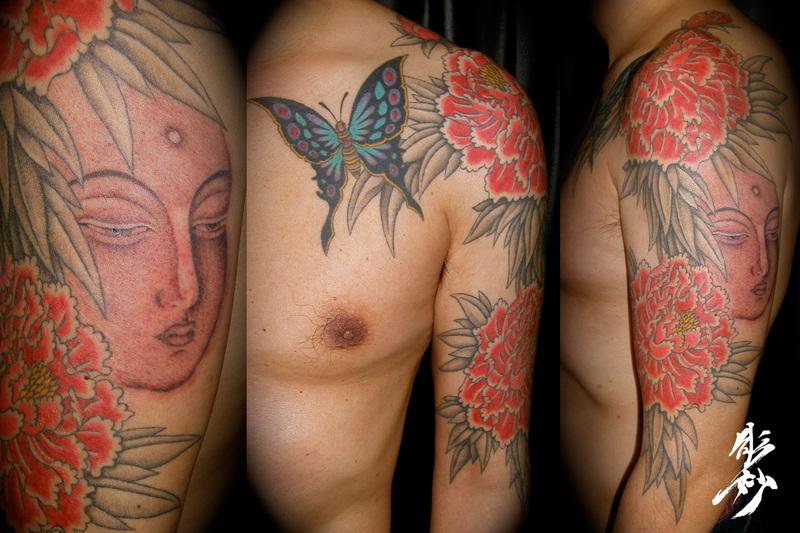 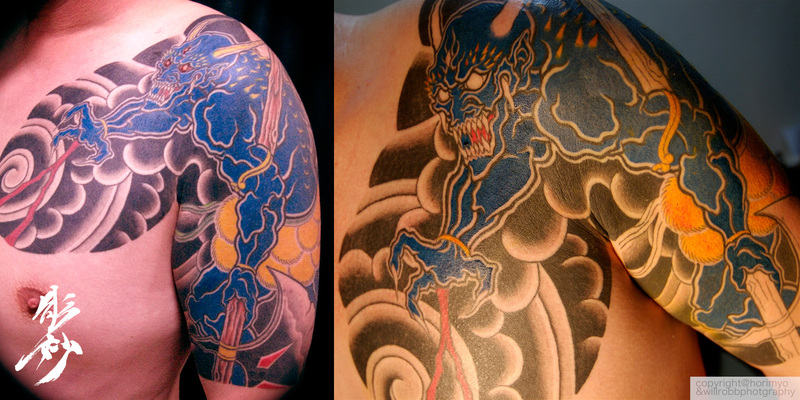 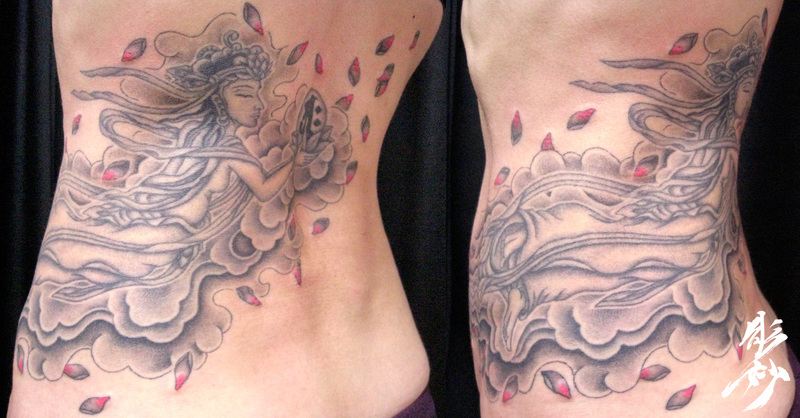 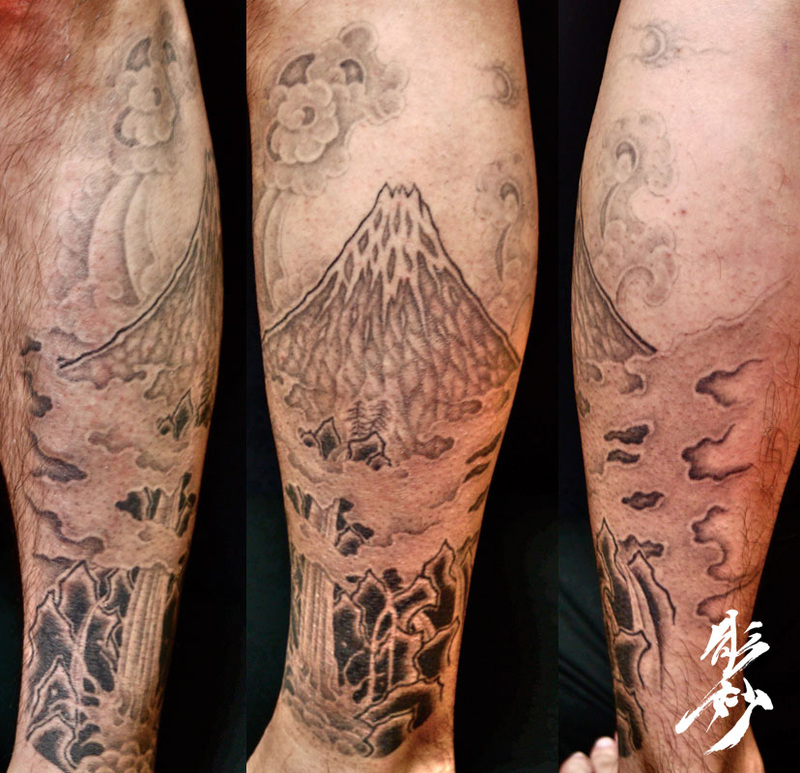 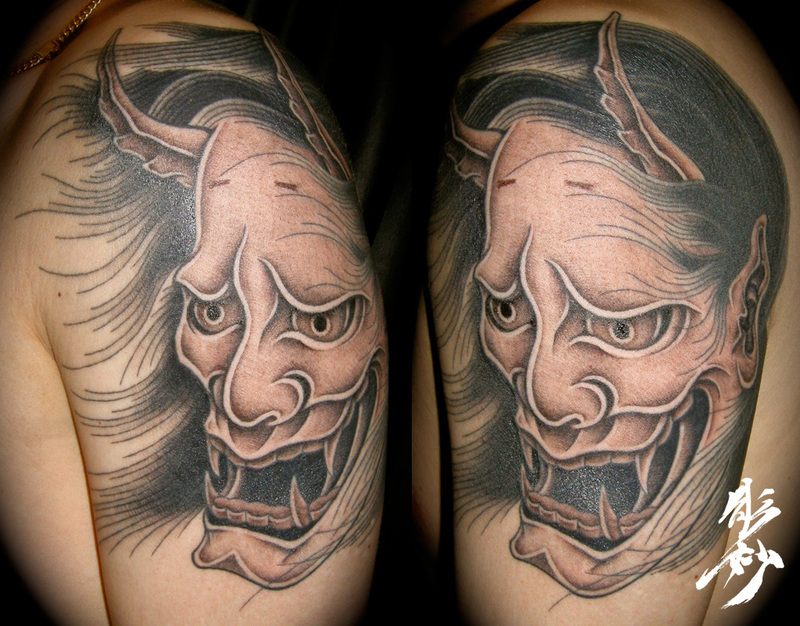 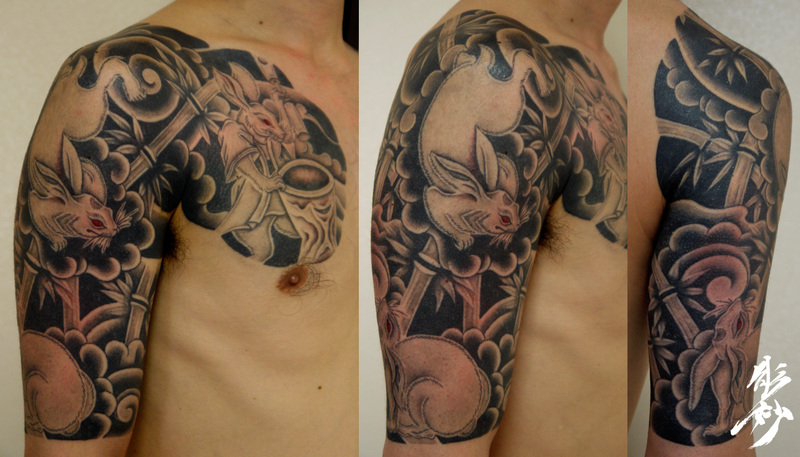 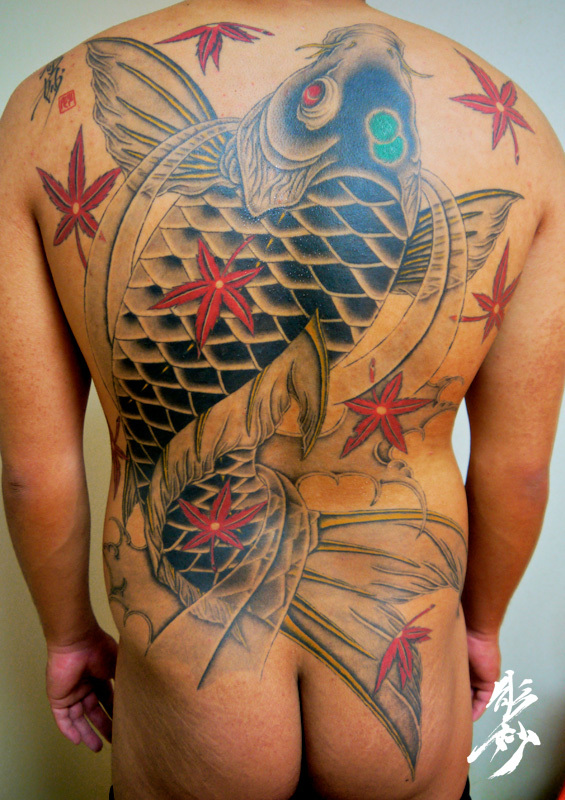 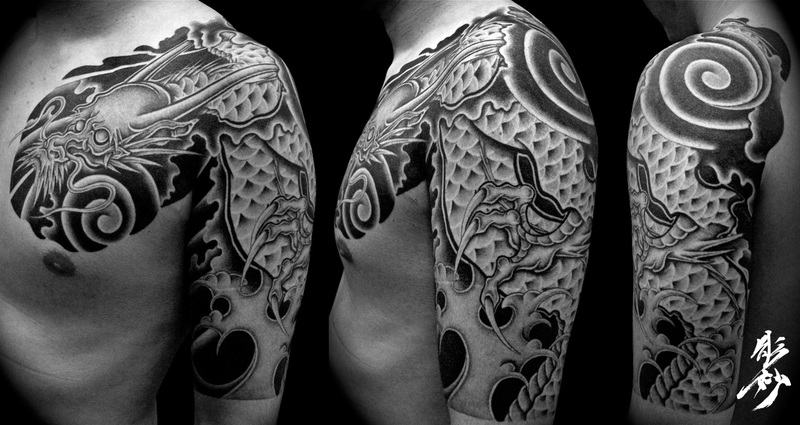 All of Horimyo's tattoo work is by tebori technique. 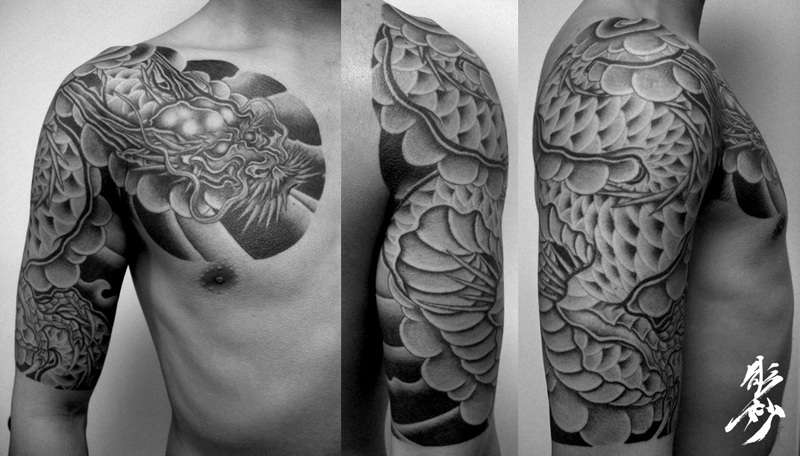 All line and shading work uses hand-carved techniques. 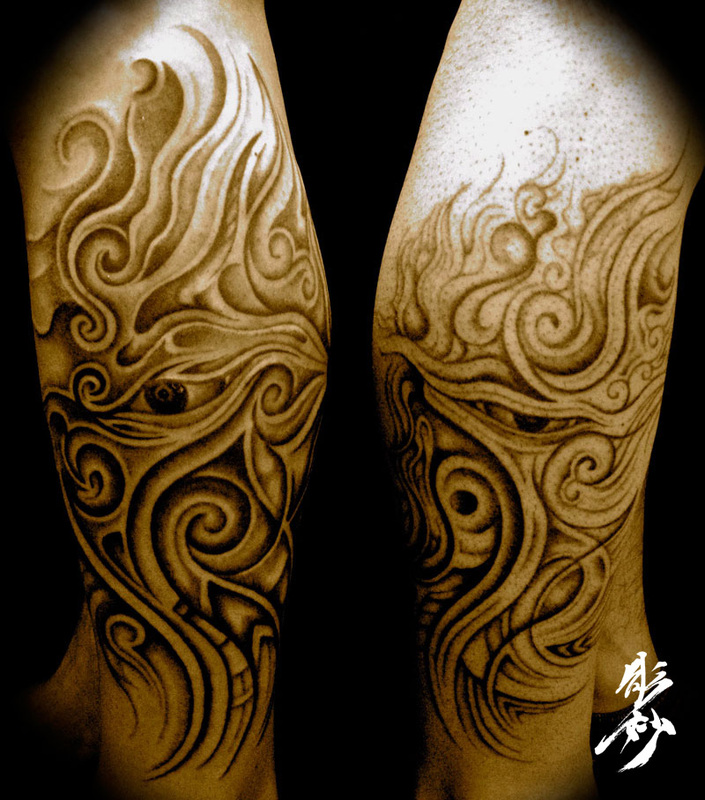 Horimyo don't use tattoo machine.